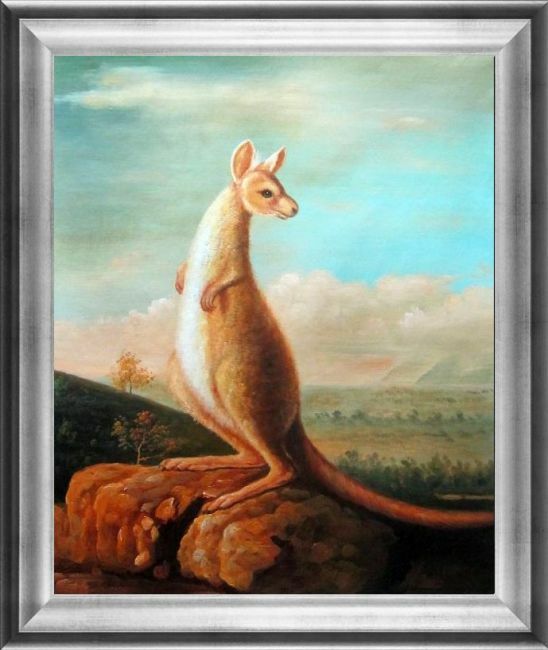 Painted by George Stubbs in 1772, this piece was the very first depiction of an Australian animal in European art. 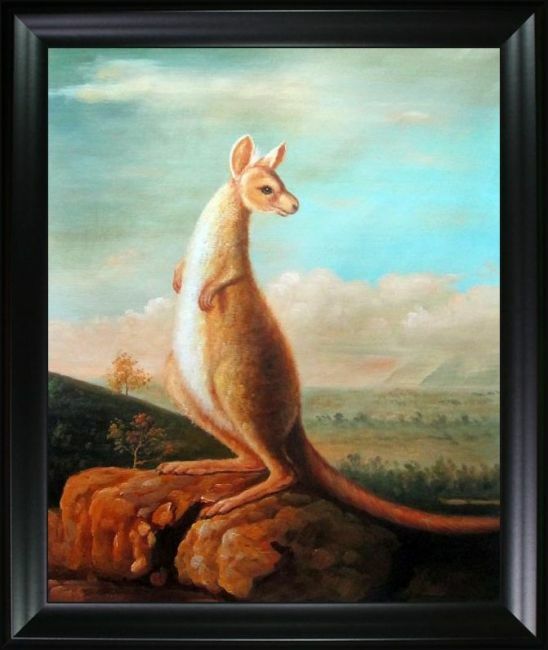 It shares that historic distinction with another piece by Stubbs, commissioned and created at the same time, entitle Portrait of a Large Dog. Despite its Australian subject matter, it was made in Britain based off of the skin of an animal brought back from the first European voyage to discover the continent. 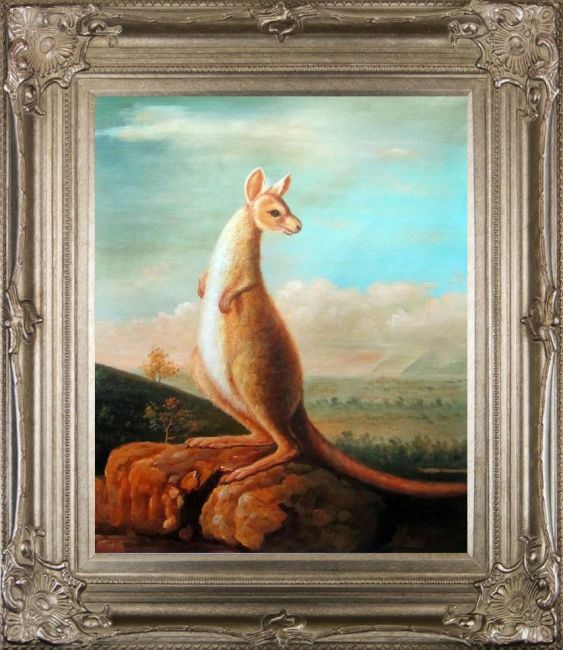 It's a historically significant and beautiful work, showing a rarely painted creature in a truly untamed habitat. 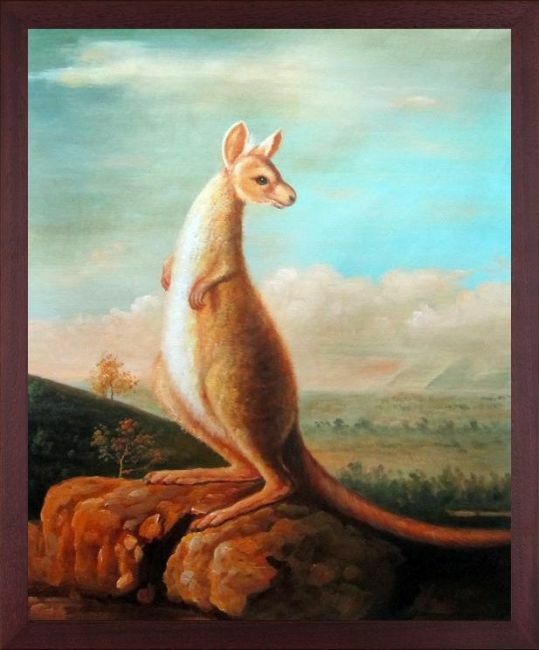 Imagine yourself exploring the Australian outback when you gaze upon our carefully hand-produced oil-on-canvas reproduction. 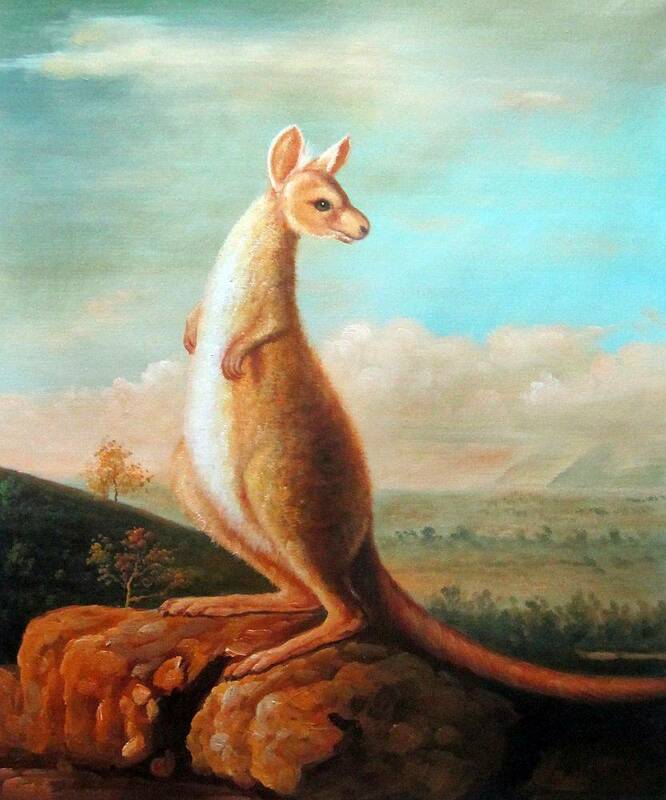 Color Palette for The Kongouro from New Holland is empty.